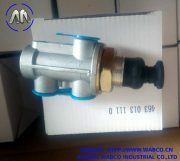 In a truck air brake system the air brake chamber plays a vital role in the safety of a truck. Our MGM and Haldex/Midland/Anchorlok Brake Chambers convert the energy of compressed air into mechanical force and motion. Through the air brake chamber’s connection to a slack adjuster and then to a brake camshaft, this force and motion actuates the brake camshaft. The camshaft is twisted between the brake shoes, separating them to creacte friction inside the air brake drum. This friction causes the wheel to slow and stop the wheel and the vehicle. MGM and Haldex/Midland/Anchorlok Brake Chambers are available in several sizes, providing a wide range of output forces and strokes. The many different size brake chambers are identified by numbers, which indicate the effective area of the diaphragm. For example, a Type 3030 brake chamber has a 30 square inch effective area diaphragm size. 3030 brake chamber has a fully threaded shaft for maximum adjustability and includes mounting hardware, clevis and cotter pin. Leader in the research, development, and distribution of a broad range of truck and trailer parts. 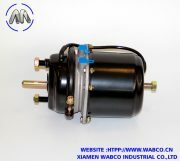 Brake Chambers , Diaphragms, Slack Adjusters, Lined Brake Shoes, Brake Shoe Box Kits, Brake Lining Sets, Brake Drums,Brake Shoe Repair Kits, Brake Shoe Springs, Brake Camshafts, Camshaft Repair Kits, Air Valves, Governor Valves, Air Dryers,Drain Valves, Foot Valves, Relay Valve, Quick Release Valves, Inversion Valves, Tractor Protection Valves, Pressure Protection Valves,Spring Brake Valve, Front Axle Valves, Check Valves, Safety Valves, Control Module Valves, Push Pull Valves, Leveling Valves,Air Solenoid Valves, Seat Control Valves, Transmission Selector Valves, Air brake Hose Sets, Air Compressor Parts, Air Horns. 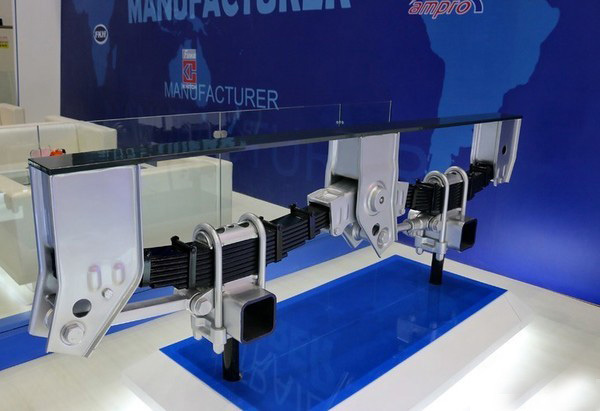 XIAMen Wabco INDUSTRIAL CO.,LTD For more than 25 years, Automotive Aftermarket Products Expo (AAPEX) has been the premier global event representing the $477 billion global aftermarket auto parts industry. Located at the majestic Sands Expo, AAPEX 2015 will feature over 2,200 automotive aftermarket manufacturers and suppliers showcasing innovative products, services and technologies to 39,000+ targeted buyers. The parabolic spring is designed for low internal friction and lowest possible weight and consequently has fewer leaves. The leaves are partly given a parabolic shape from the centre to the end of the leaf, which gives an equal bending stress level along the parabolic part. This ensures efficient use of material and minimum weight. The shape of the leaves are such that contact between the leaves only exists at the centre and the ends. And since the centre of the leaf spring is fixed to the axle with U-bolts, the only friction comes from the end contacts. Rubber pads are also sometimes used to lower the friction. As with multi-leaf springs, the strength of the eyes is a critical safety factor. Leaves for multi-leaf springs are prepared by cutting and stamping whilst parabolic leaves are hot rolled in a purpose-made rolling machine. The ends of the main leaf are heated and the eyes are then hot rolled. The leaves are heated and individually bent to the correct arc radius and, whilst still clamped between the bending tool, each leaf is quenched in oil to receive high strength and the correct shape. Parabolic leaves also have an arc radius but are however normally straight in the thicker central section. The leaves are finally tempered for high material toughness and strength. After cooling, the shot peening process is necessary for all parabolic leaves. For multi-leaf springs however, it is normally only the two safety-critical leaves that require shot peening. The bushes are pressed into the eyes and the stack of leaves is assembled. Positive stresses are then introduced in to the spring by a pre-stressing process. The multi leaf surfaces are protected against corrosion by painting of the outer surfaces and by lubrication between each leaf. Parabolic leaves are individually painted on all surfaces. In part, this is quite true when it comes to the automotive industry. Earlier cars were considered a luxury for only the rich, and they weren’t mass-produced on the level that they are today. Resources were plenty and the demand for such vehicles for those who could afford it was substantial, but for today’s numbers, the ownership of classic cars are still quite low. As a result, the materials used back then were heavier, bulker, and today—expensive! What’s more, when it came to the smaller parts of the vehicle like the suspension system, inventors were still in the earlier stages of discovering what makes up a smoother ride—and in essence, still are today! Whether you want to refer to these earlier cars as old or classic, the truth somewhat remains that indeed, they don’t make them like they used to! So for car collectors and classic car owners who may have received their treasure through an inheritance, an auction, or the sheer luck of stumbling upon it in a junkyard, chances are you’re probably having a challenge finding replacement parts for your leaf spring. The chances are quite slim that you’ll find leaf springs for a classic car at your local automotive store. Even if you’ve gotten by with combing junkyards for parts, when it comes to classic cars, you won’t have much luck. Even if you contacted the manufacturer, the response that you’ll most likely get is that particular model is obsolete and yes, they don’t make them anymore! So if the manufacturer doesn’t make leaf springs for their earlier models, and finding replacement parts makes finding a needle in a haystack look easy, what exactly are your options? You could, like most ex-classic car owners, scrap the parts out and sell the material, or you can call New truck Spring, a leaf spring replacement and manufacturing company in New Century, KS. 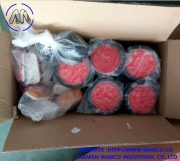 New truck spring belongs to Wabco group which is a leading supplier in auto parts. Our headquarters is located in Xiamen. We own several factories and joint-ventured manufacturers in China which are successfully certified with TS16949 and ISO9001/2009 quality control system. With more than 10 years’ development, we can supply a full range of spare parts for full trailers, semi-trailers, heavy & light duty trucks agricultural machines and engineering machines. Our main Products are Leaf Spring, Coil Spring, Wheel Rim,Landing Gear,Trailer Jack,Jockey Wheel, Axle, Mechanical Suspension, Air Suspension, Agricultural Suspension, Bogie Suspension,Turntable, Fifth Wheel, King Pin, Brake Chamber, Container Lock, Coupling, Towing Eye, Drum, Hub, Mudguard, Lamp, Excavator Bucket, Bucket Teeth, Track Link, and other Chassis Parts. With our advanced technology and professional team, we can supply high quality products with competitive price and best service.Being an OEM and after market service supplier, our sales network covers North America, South America, Europe, Middle East,Africa, Southeast Asia and Oceania. Our products enjoy a high reputation in the market. Warmly welcome all over the world friends to visit our Xiamen showroom and our factories to set up a long-term cooperation relationship. We stock leaf springs for Chevy, Ford, Dodge, Plymouth, Chrysler, Oldsmobile, Mercury, Mazda, Jeep, Toyota, AMC, GMC, and Suzuki Samurai. Because we are the leading authority in leaf spring replacements, we have competitive prices that rival other distributors, giving you the best price possible. We also ship our suspension parts out anywhere in the United States. For quality assurance, we check each product before it’s shipped out to make sure that there’s no damage to your purchase. 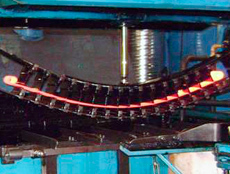 in the structure of leaf spring composition is relatively simple, relatively low cost of manufacture, and easy maintenance, it not only played the role of shock absorption buffer, as well as the effectiveness of guidance agencies; so the use of leaf springs more widely , Trucks, buses, sport utility vehicles, vans and pickups are very useful. The structure is only applicable to non-independent suspension, the use of certain limitations; leaf spring by the name suggests is a combination of steel, the overall quality and stiffness are great, resulting in relatively poor comfort , The vertical size is too long, is not conducive to shortening the car before the overhang and rear suspension, in addition to the framework of the steel leaf spring connection is also very easy to wear. Driver in the course of the use of vehicles, may be damaged leaf spring break the emergence of course, because the use of leaf springs for a long time, there is the phenomenon of fracture This is normal, but if it is early damage from the root should be due to Abnormal use and maintenance caused. In the following for a Driver summed up a few leaf spring in the use of precautions. 1. Truck drivers in the usual should pay more attention to leaf spring maintenance, lubrication should be carried out regularly to prevent the lack of lubrication caused by shock absorber failure. 2. 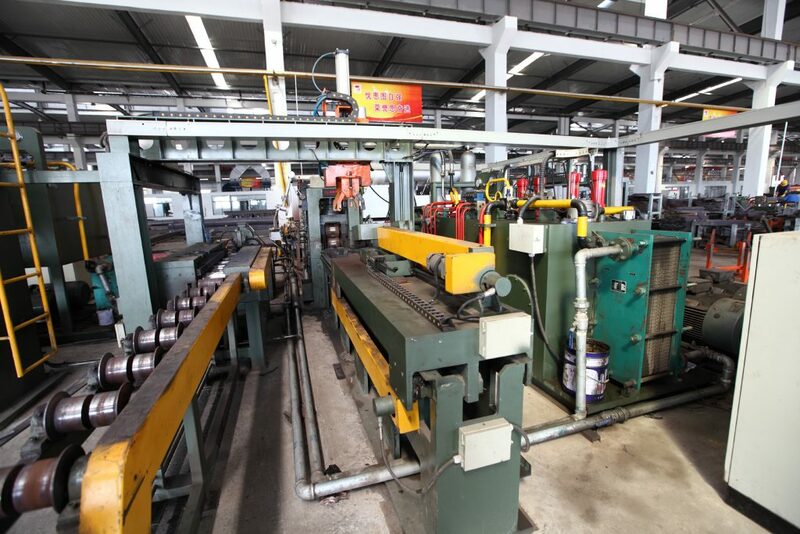 In the usual maintenance process should also pay attention to horse bolts, center bolts fastened to prevent the damage caused by the steel plate spring bolt loosening. 3. The number of leaf spring is closely related to the rated load of the vehicle. When the vehicle is often under overload or partial load, the fatigue strength of the leaf spring will be reduced and the service life of leaf spring will be reduced. 4. In order to extend the life of the leaf spring, should avoid running too fast, especially in the rugged road driving, the speed will lead to excessive acceleration of steel leaf spring fatigue and damage. 5. When driving to minimize the emergency brake, otherwise it will let the leaf spring to withstand greater bending stress and tensile stress; In addition, when turning, the speed is too fast, will increase the outer Truck leaf spring load, speed up Damage to leaf spring. Double-eye or eye/eye trailers springs are all 1-3/4 inches wide and range in length from 18 to 30 inches and with trailer spring capacity ranging from 300 to 4,000 lbs.Eye diameter with bushing 9/16″ and Eye diameter without bushing: 11/16″. Open trailer Flat End slipper springs are sometimes referred to as C-Hook trailer springs. They are 1-3/4 inches wide and have a capacity ranging from 1,500 to 2,750 pounds. Hook End Slipper Trailer springs with an eye on one end and a downwards hook on the other end. They range in widths of 1.75 to 2.00 inches. The weight capacity ranges from 750 up to 4,000 pounds.Spring flexes to resist shock and also ensures a smooth ride. Includes bushing with 9/16″ inner diameter. Hook End Slipper leaf springs attach to hangers that are welded onto your trailer. The eye of this spring will attach to the front hanger with a suspension bolt. The hooked slipper end of the spring will slide into the rear hanger. 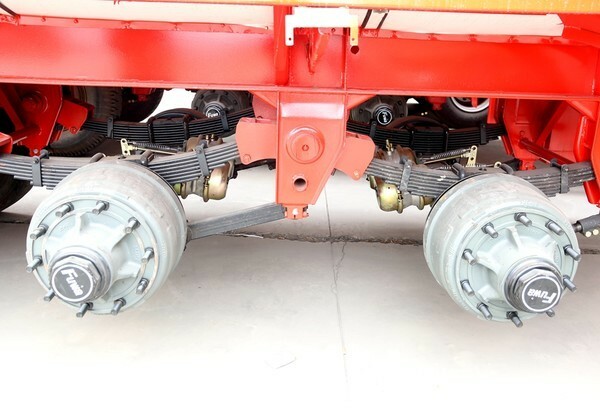 If you have a tandem- or triple-axle trailer, the slipper end will slide into the equalizer that connects multiple springs. The shape of the slipper end of a leaf spring may vary slightly due to differences among trailer manufacturers. Because of this, it’s important to check your leaf spring’s slipper end before purchasing a replacement spring.This helps to reduce wear and tear on the trailer and also ensures a smooth ride. Open trailer slipper springs are sometimes referred to as C-Hook trailer springs. Each spring flexes to absorb road shock as you travel, allowing the axle to move somewhat independently of the rest of your trailer. This helps to reduce wear and tear on the trailer and also ensures a smooth ride.They are 1-3/4 inches wide and have a capacity ranging from 1,500 to 2,750 pounds. 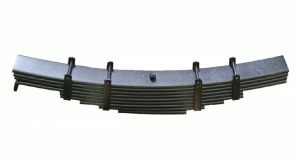 Popular Models include:UNA264 Open Eye End Slipper Trailer Leaf Spring,This 4-leaf slipper spring is 26-1/4″ long x 2″ wide. It is designed for use on trailers with 4,300-lb axles. Open trailer slipper springs are sometimes referred to as C-Hook trailer springs. They are 1-3/4 inches wide and have a capacity ranging from 1,500 to 2,750 pounds The Open slipper leaf springs provide the attachment points for your trailer’s axle, suspending it from the frame of your trailer. Each spring flexes to absorb road shock as you travel, allowing the axle to move somewhat independently of the rest of your trailer. This helps to reduce wear and tear on the trailer and also ensures a smooth ride.Popular Models include: UNA252 Trailer Slipper Spring w/ Radius End,Slipper leaf spring acts as part of a trailer’s suspension system by providing an attachment point for a 10,000-lb axle. Spring flexes to resist shock and also ensures a smooth ride. Includes bushing with 7/8″ inner diameter. Slipper leaf spring acts as part of your trailer’s Hutchens suspension system by providing an attachment point for a 22,400-lb axle. Spring flexes to resist shock and also ensures a smooth ride. lipper leaf spring acts as part of your trailer’s Hutchens suspension system by providing an attachment point for a 20,000-lb axle. Spring flexes to resist shock and also ensures a smooth ride. we are sure to have a leaf spring solution for you. Some of our more popular selling springs are the 2/1 replacement leaf spring for 1999-2009 silverado, as well as the 4/1 leaf spring for the silverado. Let’s not forget the SUV’s. Tahoe, yukon, and suburban are all built with leaf springs, and unfortunately need to be replaced from time to time. The 22-403 is one of the more common chevy blazer leaf springs that we sell. Many Chevy’s are built with not just rear, but front leaf springs as well. This component of the suspension is very important and your ride quality can suffer greatly when these leaf springs start to lose their tension and capacity. If you have a winch or a plow, consider some heavier springs for the front to accommodate for the load. A 22-402HD spring for the 73-91 K and V series is a perfect product for a situation like this. We carry a full line of leaf springs for Dodge trucks including Ram 1500, 2500, and 3500. Whether you just want to get some factory replacement springs or heavy duty springs for towing and hauling, we are your number one source for dodge suspension. Some of our more popular leaf springs for Dodge are the 3 leaf front springs for 1972-1991 4wd Dodge pickup as well as the rear leaf springs for a 98-2003 durango. Our dode springs are of OEM quality or better to ensure ride quality and durability. The 34-163 leaf spring for 1972-1993 2wd Dodge is a common replacement on these vehicles. It is a 4/1 leaf spring that will give a capacity of 1,650 lbs per side. There are also other springs that could be in this vehicle and if you are not sure when identifying, feel free to give us a call. If you are looking for replacement or heavy duty leaf springs for your Ford truck or suv, you have come to the right place. We have a full product line containing almost every HD and factory leaf spring that Ford trucks were made with. We provide everything from the 43-781 3/1 Ford Ranger leaf spring to larger truck springs like heavy duty 43-1289HD 10 leaf springs for F550. Many vehicles will have stock and super duty springs available for them. Ford F150 leaf spring ,Ford F250 leaf spring ,Ford F53 Motorhome suspension springs are also very popular sellers on our site. Over time, the weight of an RV can have a negative impact on the capacity and resistance of your springs. Popular spring replacements include Model 90-297HD the 3/1 Rear Leaf Spring for the 2005-2011 Toyota Tacoma. This replacement spring fits on the left or the right side and can be classified as a heavy duty spring as it offers 1,650 lbs of load support. As a general rule of thumb, when you replace something as vital as suspension leaf springs in your Toyota Truck/SUV you should always look to replace the u-bolts to go along with the springs. The reasoning behind this is for additional safety and stability throughout your Toyota and without proper U-bolts the leaf springs will not sit right in on your chassis. We offer custom bent u-bolts that can be made to fit specific measurements. our leaf springs for jeep offer are reliable replacement springs made to have your vehicle riding like new again. 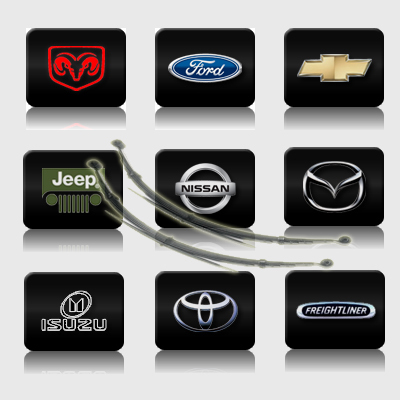 Popular Models include 97-539 rear spring for cherokee and 97-565 rear springs for wrangler. Popular Springs include Model 69-263 OEM No.55020-7S401 the 3/1 Rear Leaf Spring for the 2004-2006 Nissan Titan 4WD. The most Popular replacement springs we offer for Freightliner would be model 46-1458 OEM A16-16059-000 . This spring works with up to the 2013 Freightliner M, V and X model and includes necessary spring bolts and berlin eyes. The 63-201 Rear 3/1 Leaf Spring for your 1986-1993 Mazda B-Series will help you get back to that factory ride height and eliminate the excess pressure onto your suspension. How do you determine what leaf spring you have on your vehicle? Leaf springs are commonly used in heavy duty trucks, pickups, vans and SUV’s and are a critical part of the vehicles suspension. At some point they will reach the end of their life expectancy and will need to be replaced, but how do you determine what leaf spring you have on your vehicle? For do-it-yourselfers, this might sound like a difficult task, but there are a couple of simple ways to identify your leaf spring. One method of identifying a leaf spring is using the O.E.M. part number. O.E.M or stamping numbers are located on various areas of the leaf spring. 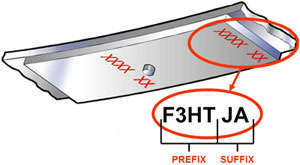 Full Taper Spring stamping numbers can most commonly be found on the end of the first leaf. 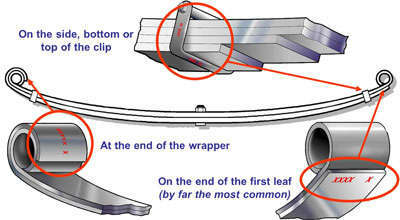 Other locations include the side, bottom or top of the clip, or at the end of the wrapper. Multileaf Springs stamping numbers can most commonly be found on the side, top or bottom of the clip. They may also be found on the bottom of the last leaf beside the center bolt or on the end of the shortest leaf. 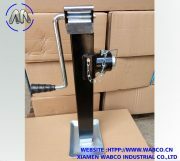 Trailer Leaf Spring stamping numbers are found on the outside of the hook. In many cases, the stamping number may contain only a part of the O.E.M. part number. Ford usually only stamps the prefix and the suffix. The base must be added to complete the part number. For example F3HT5310JA, D7HT5560AUA or D1TA5588AA, whereas 5310 represents a front spring position, 5560 a rear position and 5588 a helper spring. A second method of identifying a leaf spring is by the spring’s dimensions. This is by far the most difficult method, but can be used if no stamping number is found or is unreadable. Five measurements will need to be taken to determine your leaf spring model. The first measurement is the Main Leaf Length. 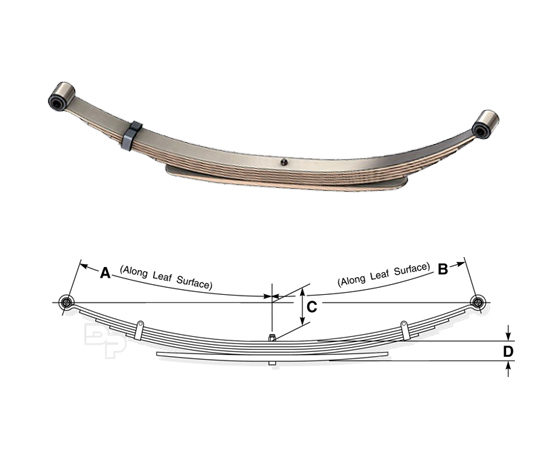 Leaf springs come in different types and will require a particular way to measure that style of leaf spring. For an Eye to Eye style leaf spring, measure from the center bolt to the center of the eye in both directions along the arch. 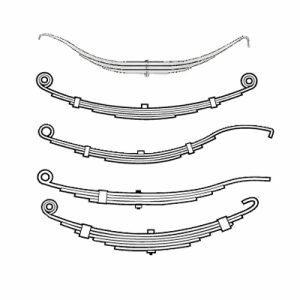 For an Eye to Slipper style leaf spring, measure from the center bolt to the center of the eye and center bolt to the end without, along the arch. 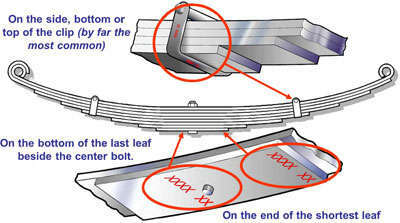 For a Slipper to Slipper style leaf spring, measure from the center bolt to the end in both directions along the arch. For a Camel Back style leaf spring, measure from the center bolt to the end of the main leaf in both directions along the arch. This is for Mack trucks only. And for a Single Point style leaf spring, measure from the center bolt to the end of the main leaf in both directions along the arch. End hole size and distance from the center bolt must be checked. The second measurement taken is the Leaf Spring Width. This is measured at the center bolt from side to side across the leaf. The third measurement is the Pack Thickness. This is measured at the center bolt down the side of the spring including all leaves, tow eyes, shock eyes and pads. The next measurement is the Leaf Spring Arch. Again, depending on the leaf spring style, a particular measurement must be taken. For an Eye to Eye leaf spring, use a straight edge to mark the center of the eyes and measure the arch at the center bolt. Always measure to the top of the main leaf and do not include any pads or spacers. For an Eye to Slipper leaf spring, use a straight edge to mark the center of the eye and the top of the slipper and measure the arch at the center bolt. For a Slipper to Slipper style leaf spring, use a straight edge on the top of the slipper ends and measure the arch directly over the center bolt. 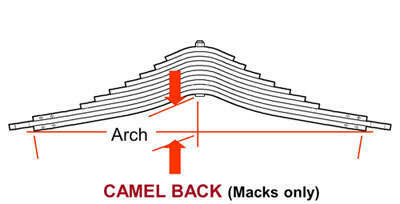 For Camel Back style leaf spring, use a straight edge to mark the top of the main leaf in both directions and measure the arch at the center bolt. And for Single Point style leaf springs, use a straight edge to mark the top of the main leaf in both directions and measure the arch at the center bolt. The final measurement is the Eye Leaf length. This is measured from the center of the eye to the center bolt along the arch. Ever have a leaf spring crack, become fatigued or break and wonder what the cause is? We will take a look at a few common reasons why leaf springs fail. The image below shows center bolt failure due to a truck spring not having tight enough u-bolts. U-bolts, especially on newly installed truck springs should be checked periodically to verify they are tight. Even if you have a professional installer install springs on your truck, you should stop by after 500 miles and have your u-bolts inspected to make sure they didn’t come loose. Corrosion and fatigue are typically caused by a combination of time and the elements. Numerous variables will weigh on how long your leaf spring will last before it suffers from corrosion or fatigue. How much weight you haul, what part of the country you live in, etc. will play a role in the life of your springs. Making sure salt and other corrosive materials are washed off and not overloading your truck will help prevent corrosion and early spring fatigue. How do you prevent overloading your truck springs? Obviously you could carry less weight or purchase a truck with a higher weight rating. 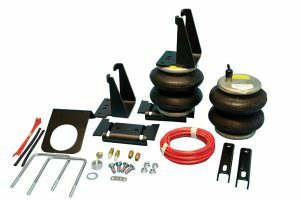 If buying a new truck or hauling less weight is not an option, you could add an overload kit like a Firestone Air Spring kit, Hellwig Helper springs or a Air Lift Air Spring kit. Overload kits are designed to take some of the weight off the leaf springs and place it onto the overload kit. Another option that is more popular with commercial vehicles it to add another piece of steel to the spring pack. This may cause the ride to be stiffer, but if you are always hauling heavier loads in a commercial setting this may be your best bet. We do not recommend adding a new piece of steel to leaf springs that already suffer from fatigue. You are better off replacing both of your truck springs with new ones with a higher weight rating. It’s very common that we will have someone only want to replace one busted leaf in a spring pack and a few months later a different leaf breaks. If one has cracked, the others are probably in the same condition and will not last much longer. Weld splatter is more common in commercial trucks and vans that come from the factory without a bed or on motorhome leaf springs . This is caused by welding a body or accessories to your truck in the same area as your leaf springs. Just a small amount of weld spatter can be disastrous to the life of your spring. About the only way to prevent this is to inspect your springs after and make sure no one was careless with the welder. Above are a few common reasons why leaf springs fail. There are other manufacturing reasons such as quench cracks, tight eyes, notches, incorrect temperatures, etc. that can cause failure. With today’s modern, high-tech manufacturing processes and quality control, they are not nearly as commons as they were in the past. If you need have any questions about your leaf springs or need replacement leaf springs, call Michigan Truck Spring at wabco@wabco.cn. They carry OEM replacment leaf springs for everything from old corvettes to semi trucks and trailers. how to measure trailer leaf springs replacement ? Determine the type of trailer spring. What do the ends of your trailer spring look like? Below are images of the most common types of utility trailer springs Determine if you have a double eye spring or a slipper spring with a flat, radius, open eye, or hook end. Measure the width of the spring. The majority of trailer springs for boat, motorcycle, horse, camping, flatbed, and utility trailers are 1-3/4 inches wide. To determine the width, simply measure along the center of the top leaf. Measure the length of the spring. If you are replacing a spring, getting the same length is important. To measure the free length, refer to letter “C” above. It is important that your trailer is unloaded when measuring the length. When determining length (C), measure from the center of one spring eye to the center of the other spring eye for double eye springs. Measurements will vary depending on the age and fatigue of your spring. We offer a large selection of trailer springs. Determining the length first will narrow your selection down considerably and make finding the correct spring quicker. Determine the capacity and how many leafs. Determine what type of capacity you require and how many steel leaves your existing springs have. If you are replacing all of your springs, the number of leafs will not be as important. You can switch from a 4 leaf to a 3 leaf with thicker steel if you prefer. The capacity ratings are per spring. Determine the rating of your trailer axle and then select the capacity of your springs. If you have a 6000 lb. rated trailer axle with two springs, use two 3000 lb. rated or higher trailer springs. Measure the free open (H) and the arc (A) and (B) of the trailer spring. These measurements are more for reference and will change with the age and fatigue of your spring. These measurements can show you the importance of replacing all of your springs rather than one at a time. If you have an older spring that has lost its arc over time and you add one new spring with a taller arc to the other side of your trailer, your trailer will lean to one side causing for an uneven load and unsafe conditions. The majority of springs are shipped with 9/16″ trailer spring bushings. Please place a comment on your order during checkout if you would like 1/2″ bushings. Not all springs can use 1/2 inch bushings, it they cannot and you request them, we will let you know before shipping. The capacity rating is per spring. If you have a 6000 lb. rated trailer axle with two springs, use two 3000 lb. rated springs. All springs are sold individually, but it is highly recommended to change them in pairs. Changing only one spring may cause your trailer to lean to one side due to the spring fatigue of the unchanged spring(s). When To Replace Or Change Leaf Springs? Q: How do I know if my leaf springs are worn out? A: The signs and symptoms of a worn leaf spring may be severe and quite obvious, however they can also be hard to detect if the symptoms aren’t very apparent and you don’t know what to look for. Should I replace my leaf springs? It’s hard to always know when the right time is. Some of the more obvious symptoms are a cracked leaf or the rear of the truck in a constant sagging position (lower in rear). But some less apparent indications can actually be a leveled truck that has not had a leveling kit installed. Really? A level truck can mean a worn leaf spring? Yes, because most pickup trucks are actually slightly raised about 1.5 – 2.5 inches in the rear which gives a “nose down” affect. The reason manufacturers set the vehicle this way is to accommodate for weight or load on the rear of the truck so your lights are not pointing at the sky and blinding on-coming traffic. So if your vehicles level, that may indicate your springs are not sitting at the height they were intended to due to fatigue and wear. So what if I just used an add a leaf kit or installed a helper spring like a Firestone air bag, Hellwig helper spring or Timbren kit? It may or may not help your situation and it is not recommended because it will essentially just be masking the problem. Adding a leaf will work… temporarily. Eventually, in the near future, that single leaf will most likely lose its strength as the other s aren’t going be helping out too much. A leaf pack is intended to work together, so that’s just a quick fix, not a solution. As for helper springs; they are a great addition – but only after you replace the leaf spring! A helper spring is intended to do just as the name states, help a spring, but a healthy spring. You must have a good leaf spring because the vehicle is not designed to rely on helper springs which are not designed to be the “primary” suspension of the vehicle. If the back of truck is only sagging when hauling or using something like a turnover ball hitch, then yes – a helper spring is your best option. Even after you replace your leaf springs, if you’re constantly adding weight, then go with the helper spring. OEM leaf springs are designed to be in the middle of weight support and comfort. If the leaf springs are too stiff, then you’re going to bounce all over the cab and have a back ache after you drive to your local supermarket. If their too soft, you won’t even be able to put a slab of sheet rock in the back. So they often choose the middle of the two. A helper spring however gives you the option of the two, without constant compromise. Most helpers springs (and this does not include an “add-a-leaf”) are progressive rate springs, meaning the more force on them the more force they exert back. This gives you a good ride when unloaded and weight support when needed. 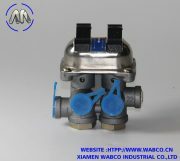 The king pin is a component of the coupling between the semi-trailer and the tractor unit. Different designs make it possible to install king pins onto a trailer quite easily. JOST king pins satisfy the most stringent safety requirements. They are produced from high-quality, coated, forged blanks which are tested for the complete absence of cracks. Exchanging or converting our king pins is both quick and easy. The king pins can be replaced or converted quickly and easily. National regulations (in Germany §§19, 20, 21 of the “StVZO” Motor Vehicle Safety Standards) and JOST mounting and operating instructions must be observed for the installation, conversion and replacement of king pins. For safety reasons, we recommend only using the screws once. Pins for retention plates with cone-shaped locating hole (flange). Pins for dish-shaped retention plates (plate). The pin is bolted to the retention plate and is easy to replace from underneath. 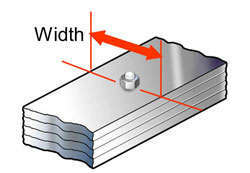 2” and 3 1/2” pins can be interchanged onsome types. Pins without a retention plate. The pin is bolted to the top plate. 2” king pins (ø D = 2” ): dimensions as per Directive 94/20/EC – Class H50, DIN 74080 and ISO 337. 3 ½“ king pins (ø D = 3 ½“): dimensions as per DIN 74083, ISO 4086 and 94/20/EG. The respective type designation is stamped into the pin and the retention plate. The type designation must match on both components. If several type designations are stamped into the retention plate, the pin may be changed for the typedesignation stamped into the retention plate. Example:switching from 2” to 3 1/2” pins. Legal regulations must be observed. 2” king pins for use with 2” fifth wheel couplings as per directive ECE R55-01 as well as DIN 74081 and ISO 3842. 3 ½“ king pins for use with 3 ½“ fifth wheel couplings as per directive ECE R55-01 as well as DIN 74084 and ISO 3842. All king pins are suitable for use in self-steering axle systems. Timbren SES Kit Or Air Bags,Which is better? differences between Timbrens and Air Bags, similarities between Timbrens and Air Bags, What is a Timbren SES Kit?, What is an Air Bag Helper Spring? What is an Air Bag Helper Spring? An Air Bag Helper Spring will install either inside your coil for coil sprung vehicles, or on the leaf or axle for leaf sprung vehicles. Once installed they can be inflated to provide up to 5000lbs of load leveling capacity, based on the type of air bag designed for your specific vehicle. You will need to maintain 5psi at all times, so the integrity of the bag is not compromised. As a general rule of thumb for 5000lb kits each additional pound of pressure is equivalent to 50 pounds of added support. Once inflated to the proper level air bags will keep your bed level with the front, reduce sway, improve control and increase loaded ride comfort. What is a Timbren SES Kit? A Timbren SES kit is a rubber bumper that will replace your stock jounce bumper. The Timbren bumper will sit 1.5” above your axle when unloaded; this is to ensure that your vehicles unloaded ride is not affected and that you will maintain your factory ride. Once your vehicle is loaded the SES will make contact with your axle, it will then expand and contract with the road providing the proper load support for the weight in your vehicle. This will keep your vehicle level, add stability, reduce sway and increase loaded ride comfort. What are the differences between Timbrens and Air Bags? What are the similarities between Timbrens and Air Bags? Both the Timbren Suspension Enhancement System and Air Bag Helper Springs are great products. Which is better would come down to user preference. If you are looking for full control over the product and the adjustability factor than Air Bags are the one to choose. If you want something that is lower maintenance and has that set it and forget it benefit than Timbrens will be the winner. Whichever product you decide to go with will be a great choice. Both will add additional load support, protect your current springs and improve loaded ride comfort.